mommy's reviews: Enter Vera Bradley's Be Colorful Sweepstakes!! I am just in love with Vera Bradley. I love all her bags, clutches, wallets, suitcases, etc. She is a very talented artist and who doesn't love her?!?!?!??! 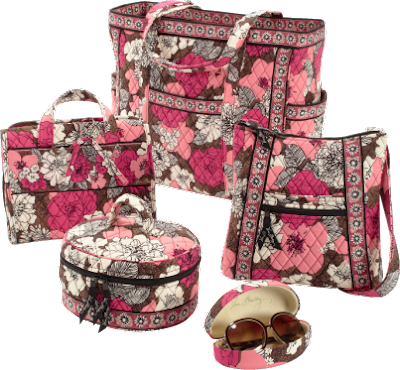 Well, I happened on a sweepstakes today that is running from now until 9/20/2011 and it is for a whole Vera Bradley Travel Set Prize Package!! This would be totally amazing to win (I doubt I will though) and I did enter. We will see! So, head on over today and enter Vera Bradley's Be Colorful Sweepstakes! !